Anyway… I’m ready to crawl back out I think. Maybe. Here’s a bread recipe I’ve been baking quite a lot this year. 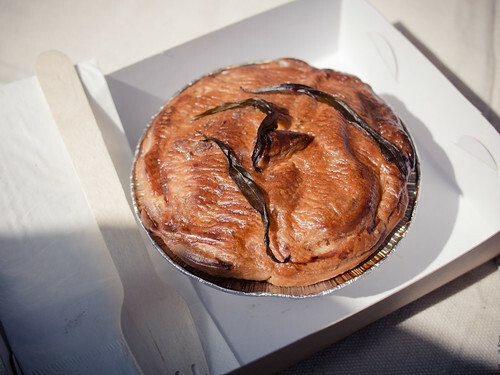 It’s inspired by the Mr Potato Bread loaf that I like eating from Bourke St Bakery so much. Because who doesn’t like to stuff carbs inside your carbs! A few baby chat potatoes (or 1 normal sized potato). Around 100g will do, but of course this will vary depending on your potato. Anyway is there such thing as too much potato? Just do what I do and eat the leftovers. Cut your potato(s) into small cubes. I like to keep the skin on, but this will depend on the kind of potato you have. Season with salt and pepper. Drizzle with olive oil and bake your potato cubes in the oven for 15mins. They should be just underdone (they’ll keep baking later on). When they’re done, transfer your potato cubes into a bowl and set aside to cool. Mix your flour, starter and water together in a large bowl. Once the dough has come together, incorporate the salt. Knead using your preferred method until your gluten is developed (check this by making a gluten window). Place your dough into an oiled bowl and cover with clingwrap. Let it rest for 20 mins. 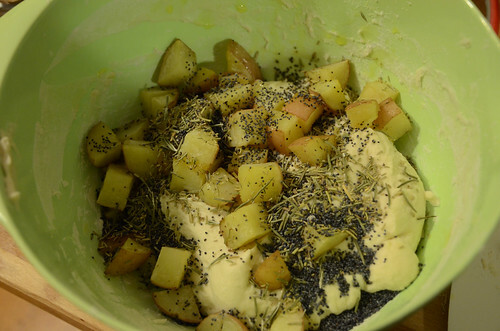 Fold the potato, rosemary and sesame seeds into the dough. Keep folding until the ingredients are well mixed. Place your dough back into your bowl, cover with clingwrap and let it bulk prove for another 2 hours. Give it a stretch & fold after 1 hour. Preshape and leave to recover for 15 mins. Final shape your dough. I like to shape this recipe into a boule. If you need help doing this, there’s a good instructional video here: How to Shape a Boule. Place into generously floured round banneton (or a large non metallic bowl), seam side up. Cover loosely with clingwrap or a teatowel to stop them drying out. 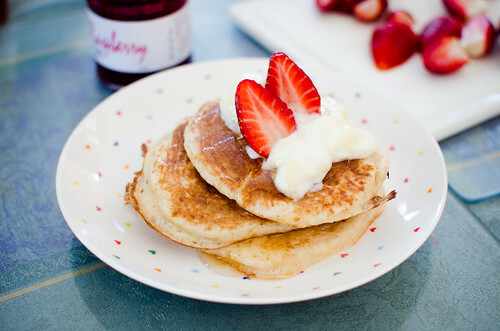 The next morning – take your dough out of the fridge. Final proof until your dough roughly doubles in size. Check this using the “poke test” – poke the dough with your finger. If the indentation fills back immediately it’s underproofed, not at all then it’s overproofed. If it slowly fills up in a few seconds then it’s perfect! Meanwhile, place a deep tray into your oven and preheat to 220˚C. Fill the tray with boiling water to create steam. Dust loaf with flour. Slash and bake! Bake for approx 45-50mins until the crust is golden brown. 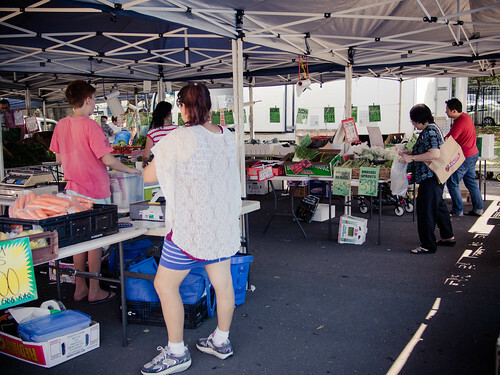 I love fresh food markets! But I don’t go to nearly enough of them. Because let’s be honest… the thing that I apparently love more than markets is a weekend sleep in. Which is why I was so pleased to hear about a new fresh food market starting up in my neighbourhood, no more than 10 minutes away! 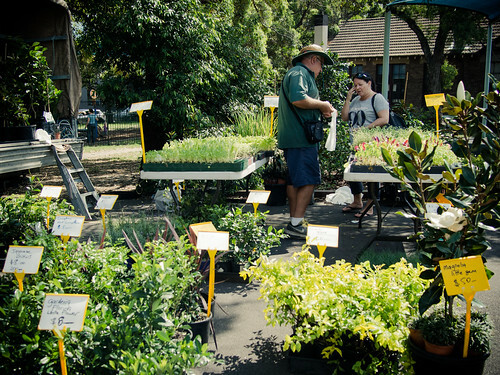 Gardeners Road Fresh Food Market is held in the spacious playground of Gardeners Road public school in Rosebery, every Saturday from 8am-2pm. 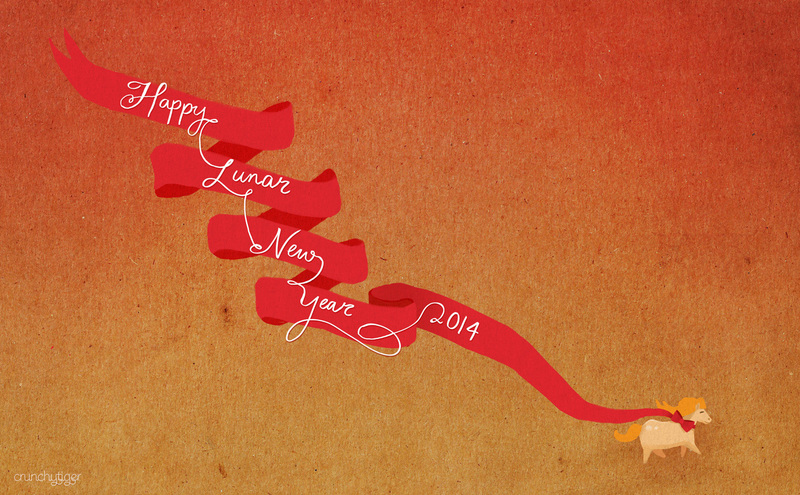 The markets only just started running a few weeks ago, so it’s very much a newcomer to the scene. I’ve been back a few times now and even in that short period of time the I’ve noticed an increase in crowds. 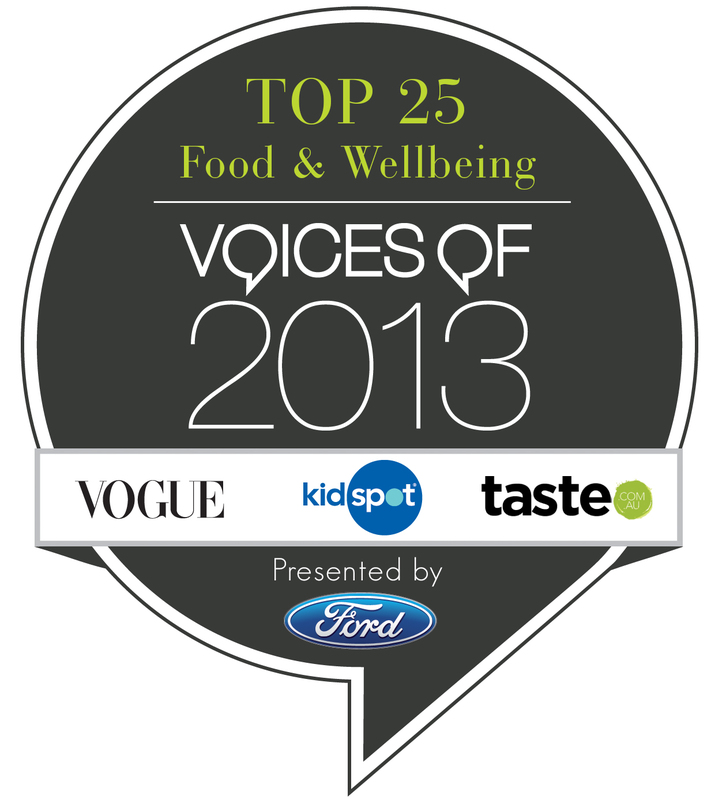 Definitely a good indicator for positive word of mouth! 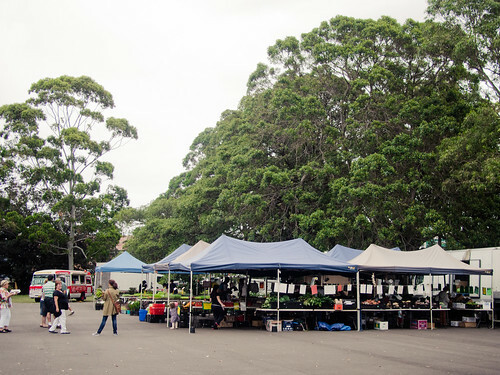 The markets have a friendly and laid-back atmosphere – there’s even a guy on an acoustic guitar entertaining the kiddies and serenading us as we shop. 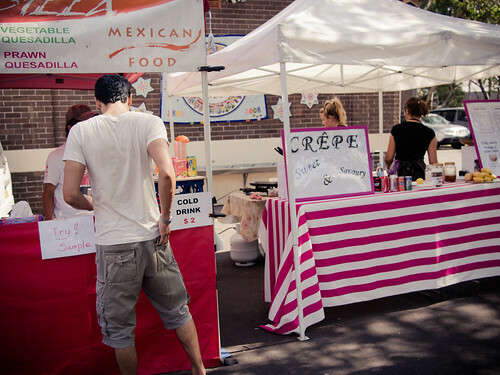 The stallholders have all been nice and happy to have a chat about what they’re selling. I’m looking forward to checking out more of them as the weeks go by. 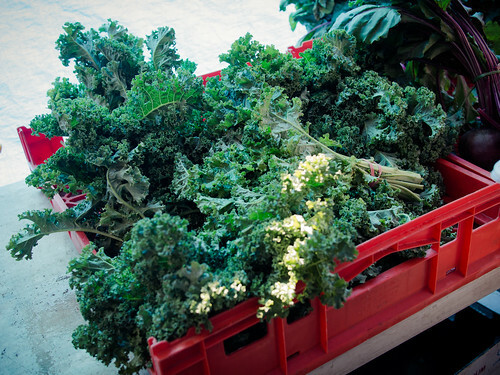 Lovely fresh kale. I bought 2 big bunches for $3. My local Coles supermarket definitely doesn’t stock this! I was also really pleased to see that JackieM had a stall. 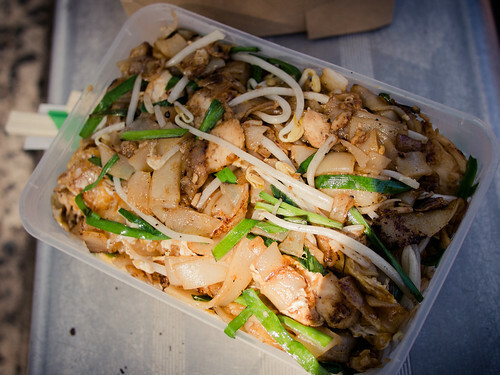 I’ve had her char kway teow at the Night Noodle Markets before – Malaysian stir fried rice noodles with the perfect balance of savoury and sweet, and with great ‘wok hei‘. 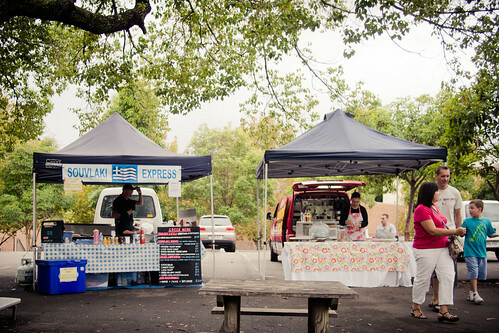 JackieM’s stall at Gardeners Road Market is operated by Nick, while Jackie takes care of Orange Grove markets. 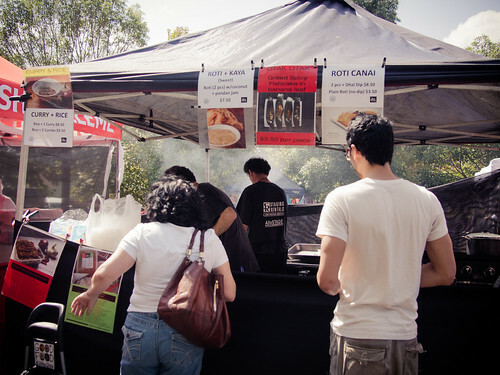 Unfortunately first market day teething problems meant the stall had no chilli (!) – but the CKT was still very tasty. 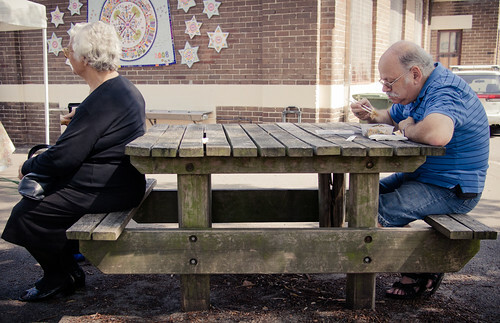 Look at this awesome dude tucking in to some of Jackie’s Char Kway Teow! 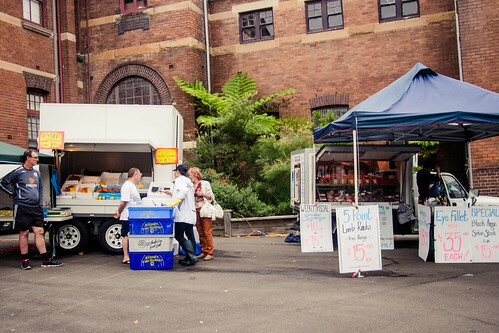 Despite being the first day of operation, there were quite a lot of food options! 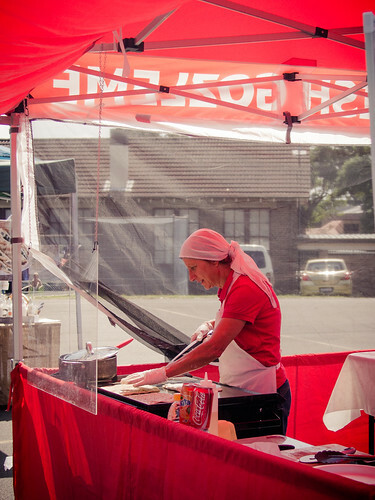 There were some Gozleme ladies of course. It never feels like a proper market without seeing them hard at work creating those pastries. 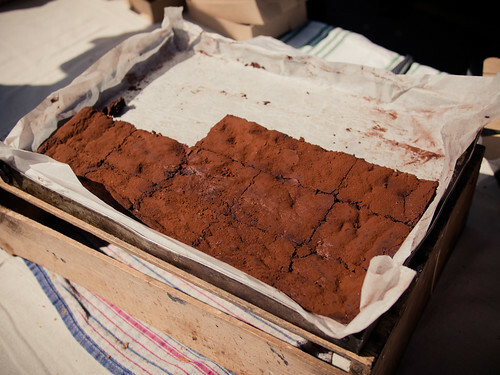 I’d be lying though, if I didn’t mention the stall I was most looking forward to seeing: Flour and Stone! Nadine Ingram’s Woolloomooloo bakery cafe, Flour and Stone, has fast become my top pick for sweet treats in Sydney. And judging from the queues that spill out onto the pavement outside her Riley St establishment – I’m not the only one who thinks so! Nadine’s Panna Cotta Lamington would alone put Flour and Stone under legendary status in my books (seriously… there’s panna cotta in the lamington), if it weren’t for the fact that everything else there is so good too. From classics like Lemon Drizzle Cake and Old Fashioned Vanilla Cake to treats with an unexpected twist like Strawberry, Rosemary and Honey creme brûlée tarts – Flour and Stone serves up nostalgia for a time that honoured honest baking without fads or pretension. 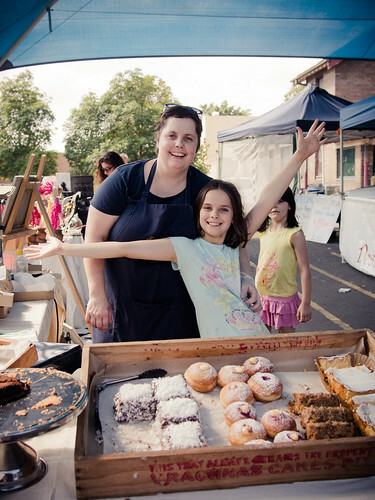 Like the Woolloomoolo cafe, everything at Flour and Stone’s market stall is beautifully presented, effortlessly showing off a tempting array of baked goods. 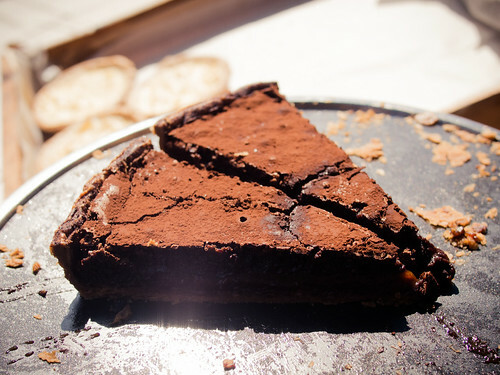 The chocolate and salted caramel tart – had to pick up a slice of this to take home, couldn’t resist! 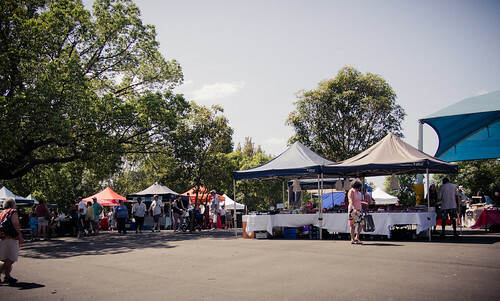 Gardeners Road Fresh Food Market is a welcome addition to the neighbourhood – and it’s exciting to see its popularity and stallholders grow. I’m already looking forward to the weekend so that I can go back! 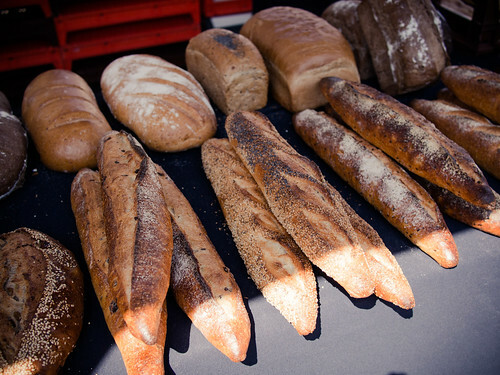 The class was run by the head of training at Brasserie Bread, Matt. As I’d already done a Brasserie Bread course before, a lot of the introduction was familiar to me, but it’s always nice having a reminder of good dough mixing technique! The first dough we made was a Multigrain Struan bread recipe. 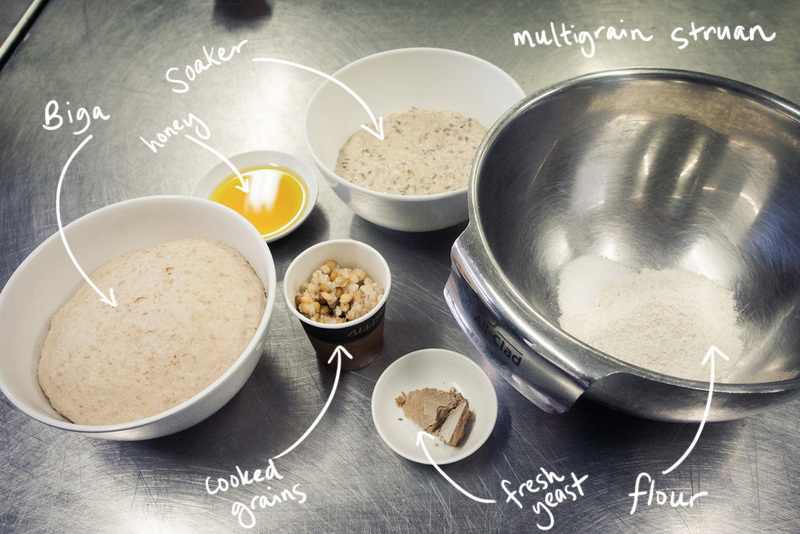 So many ingredients compared to my humble sourdough loaves! 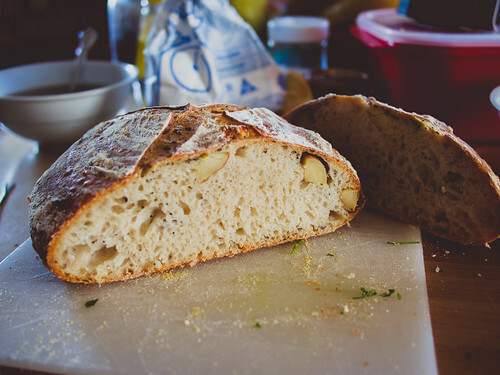 This bread recipe uses two different techniques – a biga and a soaker. The soaker is a mixture of flour, grains and milk which has been rested for 12 hours. 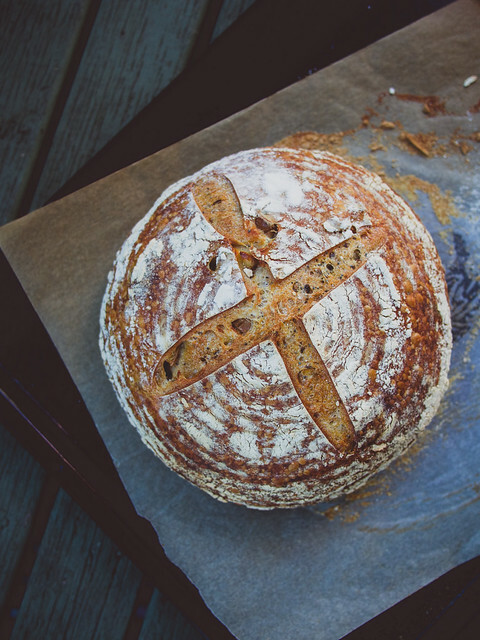 This serves two purposes, firstly to hydrate the grains so they’re not too hard & tough in the final loaf, and secondly to develop flavour. The biga is a type of pre-ferment. In this case it’s a dough mixture that’s been made the day before (or in a bakery it might be leftover dough from yesterday’s breadmaking!) which you add to today’s dough to give it a more developed flavour. 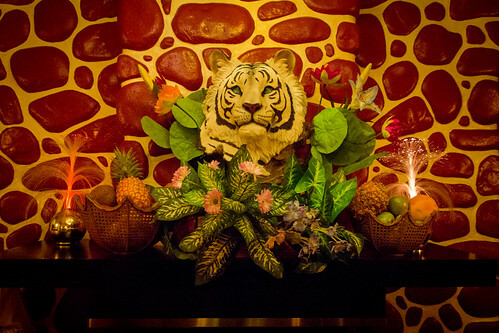 It’s no secret that I’m a big fan of what the Drink ‘n’ Dine group do – they’re behind some of my favourite bars: The Abercrombie with its deep fried Golden Gaytime, The Carrington with their $3 Pinxtos, and The Forresters and The Norfolk with their sunny beer gardens and beloved $10 lunch menus. 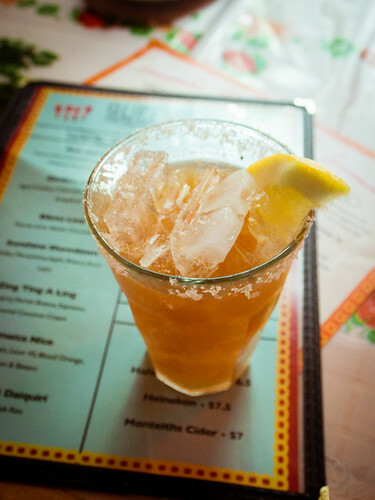 Each place has its own little quirks, but the one thing they do have in common is a food menu that is given as much attention as the drinks menu. The man behind the curtain is Chef Jamie Thomas. 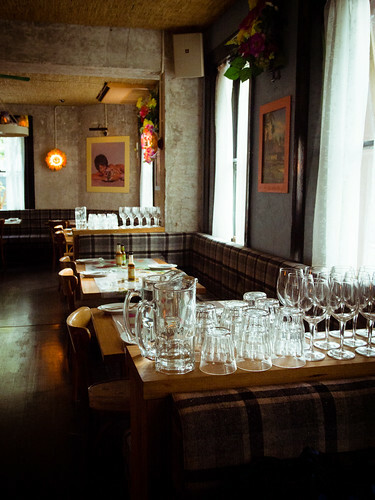 Once the head chef of The Carrington, Jamie is now the executive chef of the Drink ‘n’ Dine group – a role that sees him designing menus across all four kitchens (now five, with the new opening of Kings Cross eatery, Santa Barbara!). Busy guy! 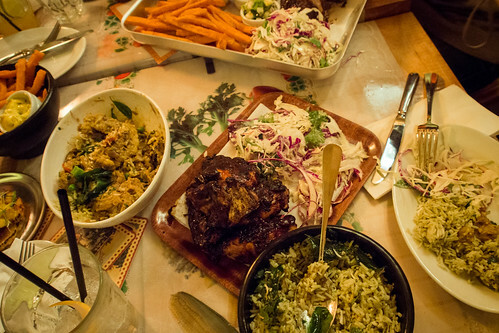 If that weren’t enough on his plate, Chef Jamie has invited us to check out Drink ‘n’ Dine’s new venture, Queenies – a new Jamaican bar and kitchen that lives in the once under-utilised space above The Forresters. 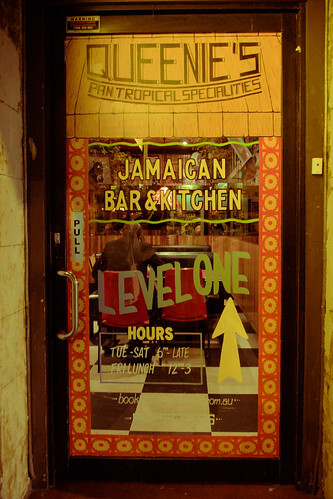 I’ve heard how popular Jamaican food is in the UK, and it’s no surprise that Chef Jamie is a fan of it too. Jamie tells us he and his mates used to hit up Jamaican restaurants after their late shifts – the only places left open by the time they finished work! We start off with some cocktails – mine’s a Zimboo Juice: aged cachaca, cointreau, tamarind and white grapefruit with a salt rubbed rim – a zesty combination that isn’t too sweet. 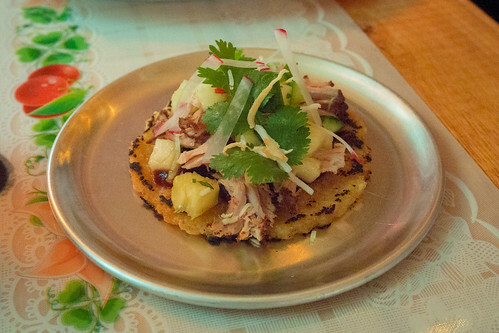 First up are the Bammies ($7) – which are a traditional Jamaican flat bread made from cassava. I really love the texture of the flat bread – it’s satisfyingly chewy with a slightly crisp and smokey grilled exterior. The bammies at Queenies come in two varieties, prawn and pulled pork. The savoury pulled pork goes well with the sweet fresh pineapple, but my favourite is the prawn… with whole grilled prawns and a lovely sweet mango salsa on top. I love the use of fresh fruit. I could really eat a few plates of these to myself! Next up is the Coconut soft shell crab ($16) – it doesn’t quite look like the snow-white tempura soft shell crab that I’m used to. This batter is a deep rich yellow, with a touch of sweetness, though not a strong flavour of coconut like I expected. 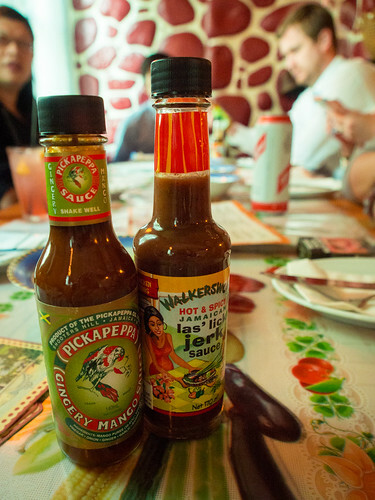 The Hotstepper sauce gives a bit of a spicy kick. 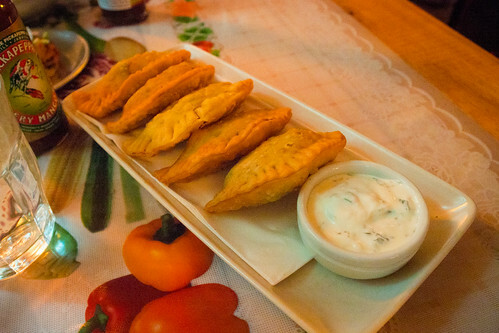 The Curried Oxtail “don’t call them The Carrington’s empanadas” Patties ($14) are piping hot, crispy envelopes of slow cooked oxtail meat, and come with a surprising Cucumber and Chili Yoghurt – all at once soothing and spicy on the tongue. Our next dish, the BBQ Jerk Corn ($8) quickly gets nicknamed Lamington corn by the table – thanks to its shredded coconut exterior and surprising sweetness. 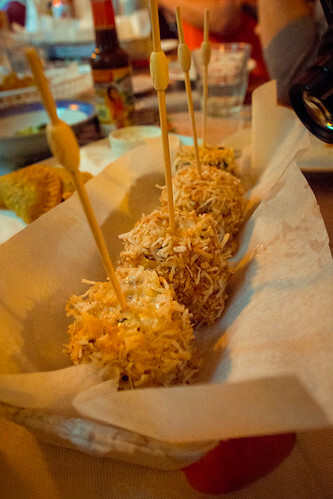 The corn’s coating is creamy and buttery, with a hint of jerk spice. The presentation is cute too, served in half an egg carton, with skewers that will be familiar to those who’ve eaten The Carrington’s famous Pinxtos! The Calypso Coffee Ribs ($15) don’t have a particularly strong coffee flavour like I’d expected, but are nevertheless wonderfully smokey and sticky. The just meat falls off the bone. And no wonder too, as Chef Jamie reveals that they’re slow-cooked in a 65˚C water bath for many hours. 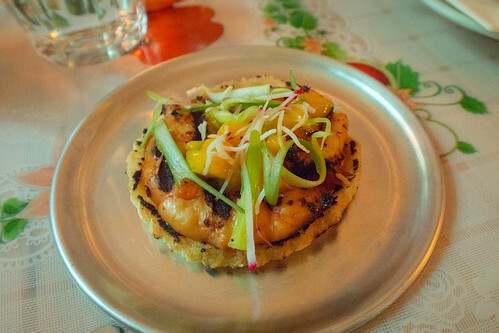 The Hellshire Ceviche ($16) is one of my favourite dishes of the night. 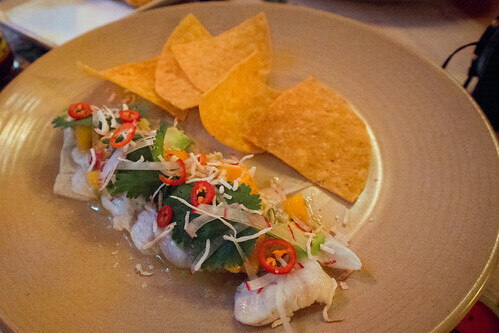 Thinly sliced pieces of snapper have been marinated in lime juice and are topped with coriander, avocado, mango and chilli. So fresh and lovely. The sweetness of the mango goes so well with the tangy marinade. Pop all of that on a crunchy tortilla chip, and it’s a perfect refreshing bite after the sticky ribs. 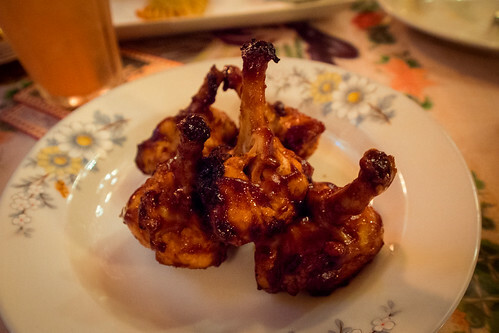 Pushcart Chicken Wings ($14), like the ribs, are basted in a sauce similar to the Calpyso ribs. While they’re good (and easy to hold thanks to being ‘frenched’) I think the ribs still win my vote, being just that bit more flavourful. It’s at this point in the evening when Jamie comes out to see how we’re tracking… and if we’re ready for our mains. WHAT. I don’t know about anyone else on the table, but I’d been eating with a hoggish glee, with no regard for pacing myself. These were just the entrees?! First up from the mains is a bowl of Goat Curry ($28). 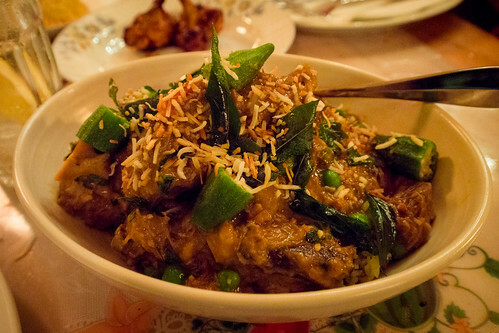 The meat is tender, and the curry flavourful and comforting. However, a combination of dark lighting and my own greed meant that I didn’t realise the little chunks of meat were served on the bone… whoops that was a solid bite! The curry is served on top of a pile of Dirty Rice. 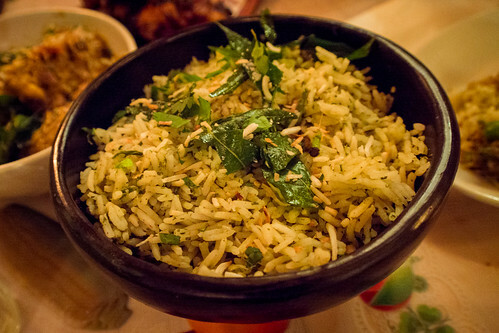 The aforementioned Dirty Rice ($5 as a side) is long-grain rice flavoured with chopped coriander, spring onions, mint and all-spice. The fresh herbs make it a refreshing accompaniment to the hearty curry. 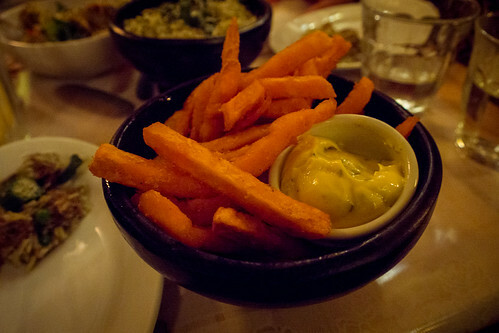 Despite my fullness I can’t say no to Sweet Potato Fries ($9). Crisp on the outside and fluffy inside, there’s always room for chips! 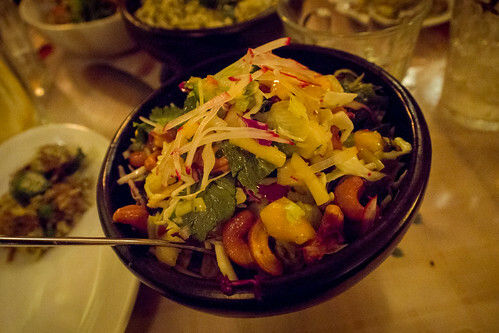 Another favourite of the night was the salad, a combination of cashews, cabbage, radish, coriander, mango and lime juice. So refreshing, I continued to eat this crunchy salad by the forkful all night, despite being way past the point of fullness. 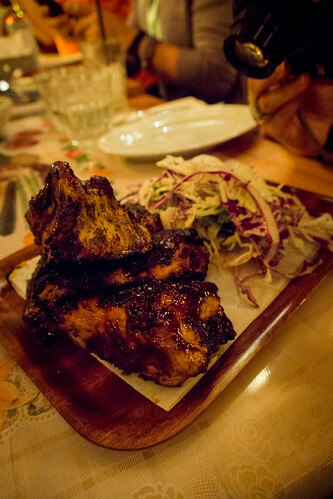 Chef Jamie then brings out these trays laden with impressive pieces of jerk spiced meat – first up is the BBQ Jerk Chicken, served with Jungle Slaw ($18). Beneath the deliciously spicy, smokey jerk rub, the chicken is perfectly cooked and shreds into beautiful chunks. 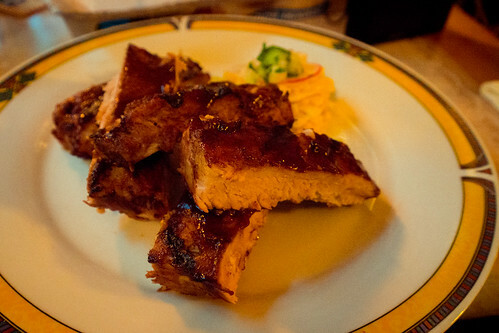 The Jerk Pork Neck ($35) on the other hand, comes out on a large tray just made for sharing. 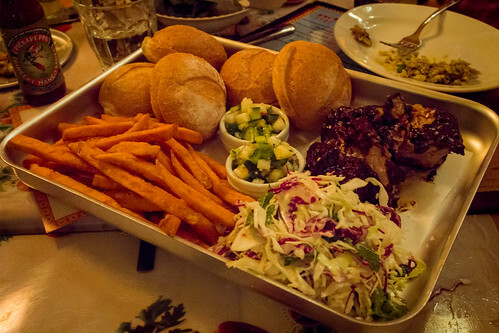 For $35, the Jerk spiced pork is served with an assortment of crusty bread rolls, sweet potato fries, jungle slaw and a spicy Pineapple and Chilli salsa. The menu says it will feed 3-4. I love the idea of this! I can definitely see myself and some friends ordering a tray like this and being perfectly content. Though the Jerk Pork is delicious, I think my favour lies with the Jerk Chicken. 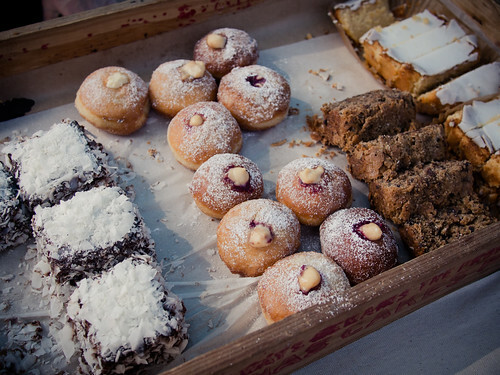 Just when we are contemplating how we will manage to roll back down Foveaux street when this meal is over, Jamie brings out some desserts – just a few to share. Time to engage my dessert stomach! 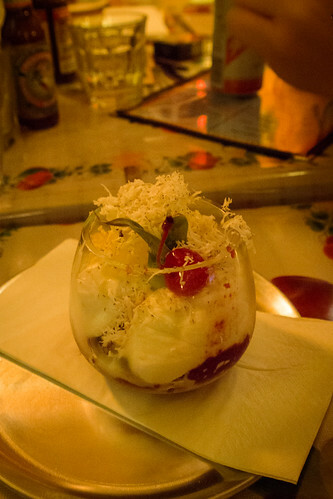 The Piña Colada sundae is a perfect way to end such a hearty meal. The coconut icecream and pineapple flavours are light and refreshing, with a cherry coulis to keep it from getting too sweet. The Donuts on the other hand almost defeat me! 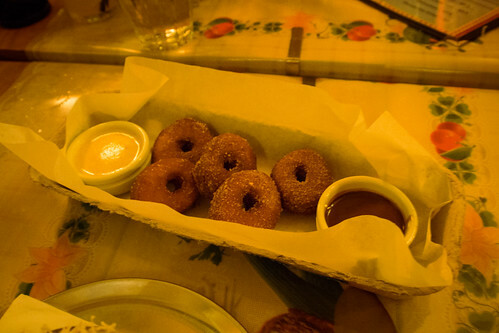 Denser and smaller than your average donut, they have an interesting chewy texture. Fans of chili and chocolate will enjoy this dessert, thanks to the slight spiciness of the jerk custard and chocolate sauce. Altogether we had an awesome meal. 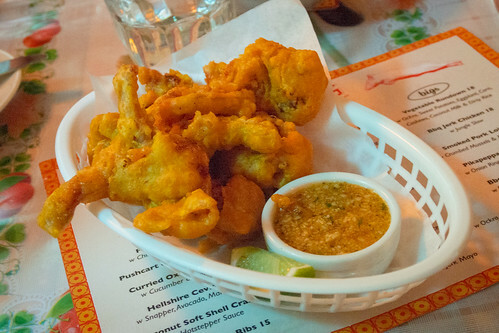 Though the particular standouts for me were the Bammies and Ceviche, I just love the convivial atmosphere the star dishes like the Jerk Chicken and Jerk Pork Neck create. Like a big family dinner, but with cocktails! Many thanks to Chef Jamie for his hospitality. I’ll definitely be coming back… and with friends! 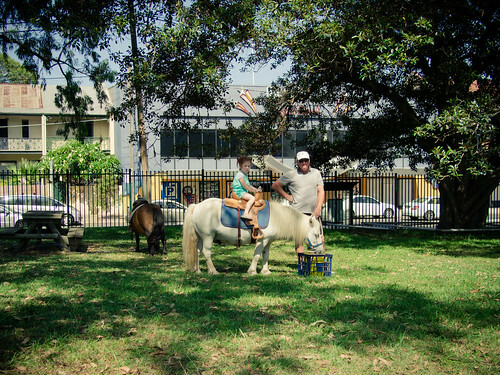 I haven’t been blogging a heap lately! Mostly because all I seem to be baking is variations of sourdough. I think I’ve mentioned before that I don’t have the biggest sweet tooth – I could be happy just eating slices of sourdough slathered in vegemite every day. 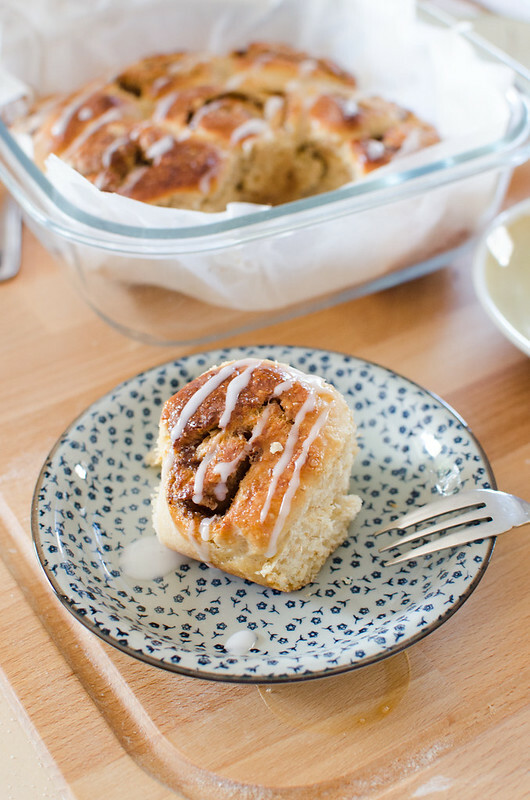 But the other week I had a hankering for something a bit sweeter and not too complicated, so I made a batch of these Almond Cinnamon rolls! They’re a soft sweet bread, made with eggs and milk, and a lot quicker to whip up than my usual bread recipes. The dough is quite a bit wetter than other bread dough, so I cheated and used my mixer with dough hooks rather than mixing by hand. But if you don’t have access to one of those, mixing by hand is perfectly fine (I’ve done it both ways now)… albeit a bit more messy. I’ve been baking sourdough bread pretty regularly these days! I’ve got a routine going. Thursday I’ll start ramping up my starter feeding schedule, so that it’ll be ready to mix on Friday night or Saturday morning (wooo… paaaarty hard! that’s me!). Though I love having freshly baked bread every week, the serious downside to maintaining a sourdough starter is the sheer amount of wastage that goes into feeding the darn thing. Unless you’re actually bakery, or one of those insane people who bake every day, it’s inevitable that a lot of starter will get discarded to keep it at a manageable weight. As a result, I’ve thrown out a lot of flour & water over the past few months, and it doesn’t feel great! Luckily, bakers are a pretty resourceful lot, and I’ve been reading up on some useful ways of using up that discarded starter. 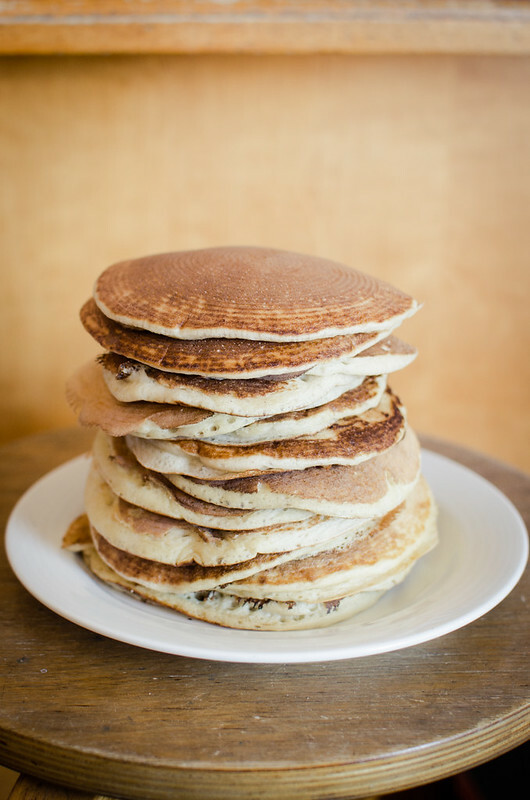 So far my favourite (and my family’s favourite) way is to make huge stacks of sourdough pancakes! They’re a really easy way to impress. 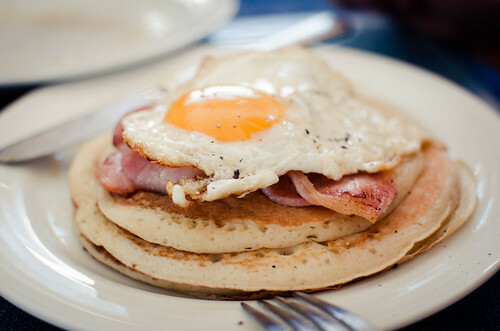 The pancakes are fluffier and airier than your average pancakes, have a chewier texture, and a lightly sour flavour (not quite as strong as sourdough bread). It’s a pretty simple recipe! 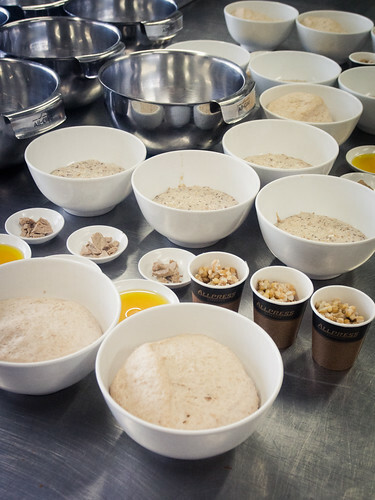 Like all sourdough-related recipes, it does take a bit of planning and prep. If I’m planning on having pancakes for Sunday breakfast, I’ll mix up a batch before I go to bed on Saturday night, and leave it to rest overnight. It’s a great recipe for lazy weekends! This recipe also comes in an Ultra Lazy Edition. If I’m ultra lazy, I’ll skip the overnight wait altogether, and use a bit of bicarb soda to help it along. 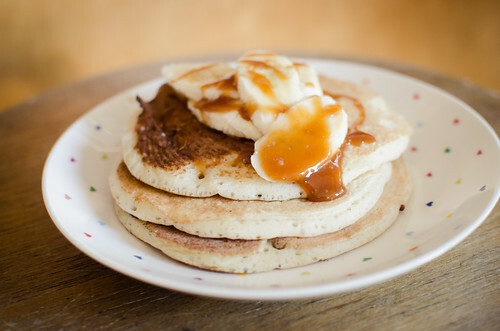 You won’t get as full a sourdough flavour, and the pancakes won’t be quite as fluffy, but they are still pretty great. 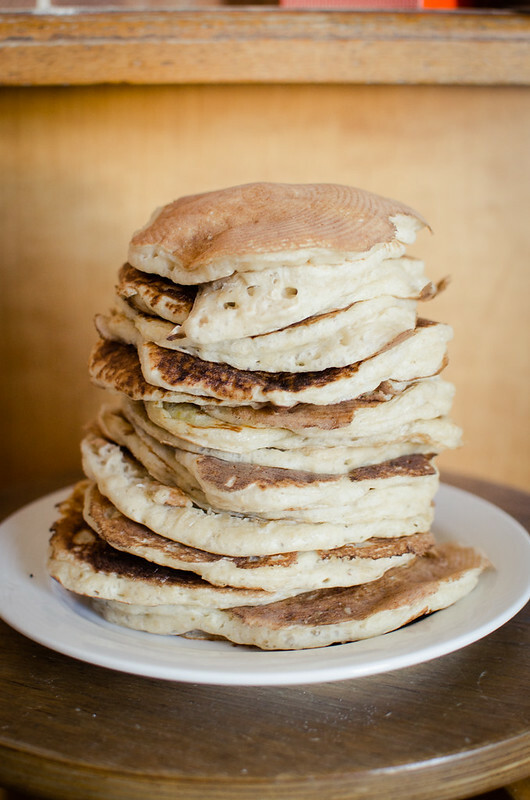 Sourdough pancakes – overnight version. Uglier, but more delicious! The fun part about this recipe is that it doesn’t require any rising agent to become so fluffy! It gets it all from the starter. It’s also the reason why you need to give it a bit of time to recover after you whisk the eggs in. If you’re in a hurry, skip to my Ultra Lazy Edition notes at the bottom of the page – and it’ll give you some tips on adding bicarb soda to give it more oomph. 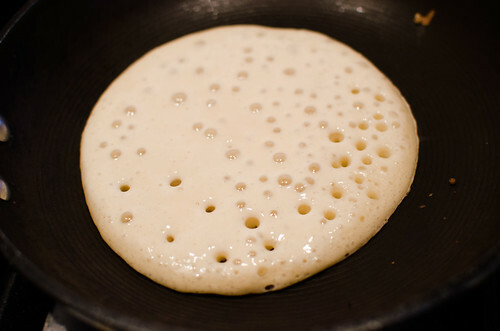 What my pancake batter looks like the next morning. Bubbly! I’ve been trying out different toppings too (ie. whatever is in the fridge on Sunday morning). Fresh fruit is always a winner for me, though lately I’ve taken to grilling bananas lightly in a frying pan with a little bit of butter. Yum! My boyfriend on the other hand prefers them savoury! Fried on top of fried. Cover with clingwrap and leave overnight at room temp (I leave it on top of my fridge). The mixture will expand a lot! 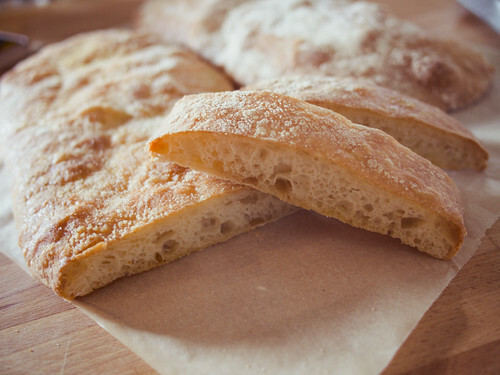 As always, sourdough recipes vary a bit depending on the state of your starter. My starter has a high water content, so that’s the ratio that worked for me. 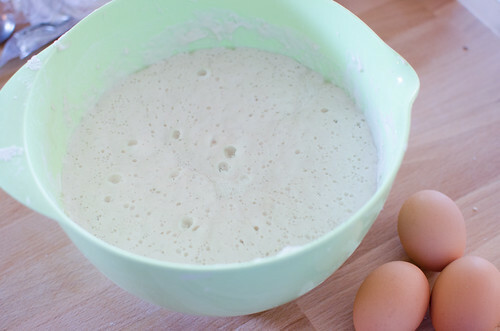 If your batter is too thick, you can add a bit of milk at this stage to thin the mixture out. You want a thick pancake batter consistency though, not crepe. Heat up your pan and coat very lightly with butter. 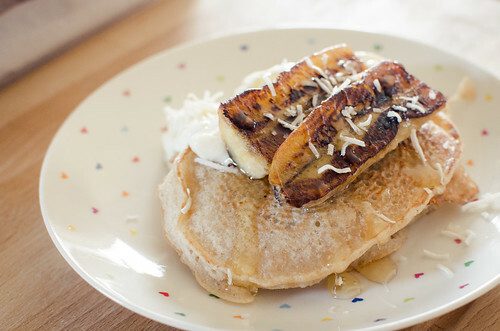 Fry pancakes!